We are looking for a Creative Copywriter to join our growing team. The ideal candidate will possess top-notch writing skills; a solid understanding of branding and social/digital media; and the ability to multitask in a fast-paced creative environment. Must be self-motivated, team oriented, have a collaborative approach to creative development. 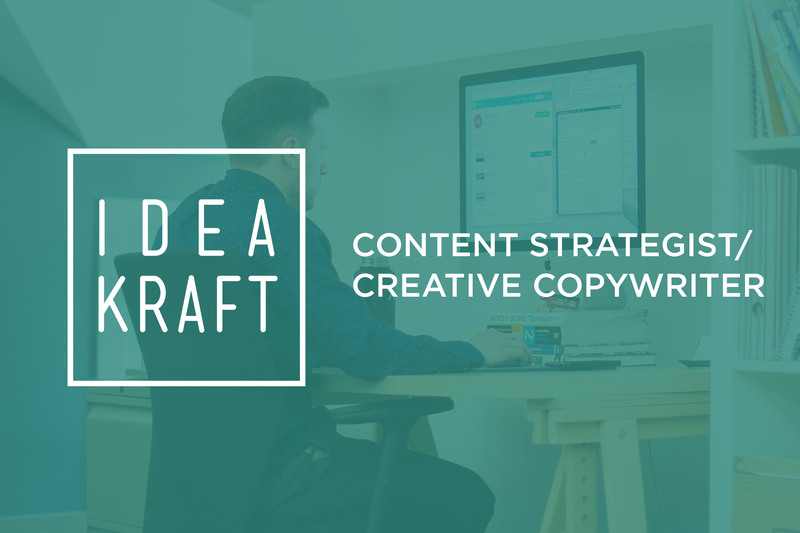 If you are interested in successfully growing with a fun, energetic, and creative team, please send your cover letter and resume to eholdrege@idea-kraft.com with Creative Copywriter in the subject. All applications will be reviewed and if interested you will be contacted.